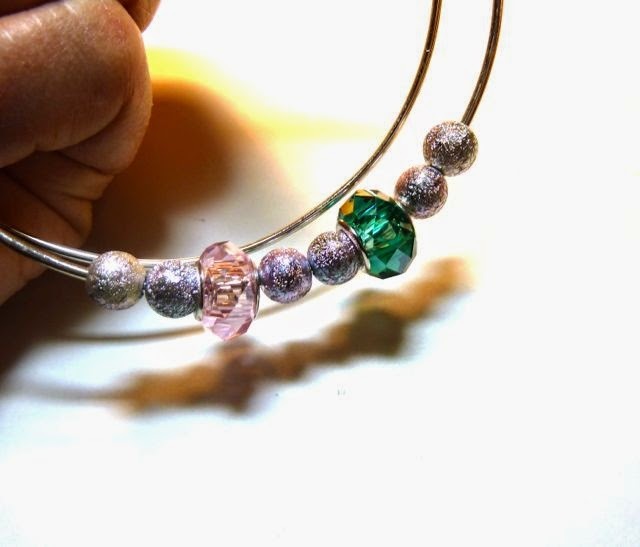 Mother’s Day is almost here and this year instead of the usual flowers or candy why not give mom a personalized gift she will treasure forever. 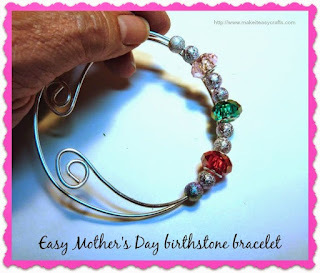 You can make this birthstone bracelet for mom quickly and easily with no special skills required. 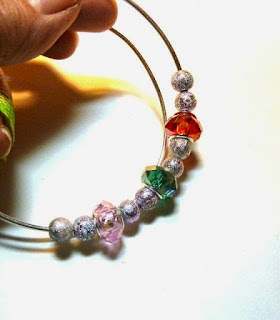 Use the colors of stones for the birthdays of all her children or grandchildren. Your mom will want to wear her birthstone bracelet all the time! 1. 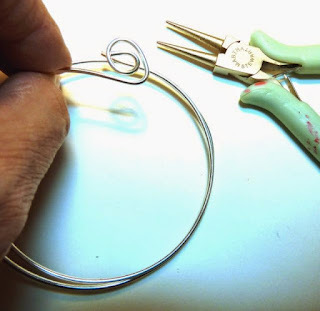 Using wire cutters cut a piece of wire so that it fits around your wrist twice. If your wire comes in a ring (Which many do) it is already the perfect shape for a bracelet. 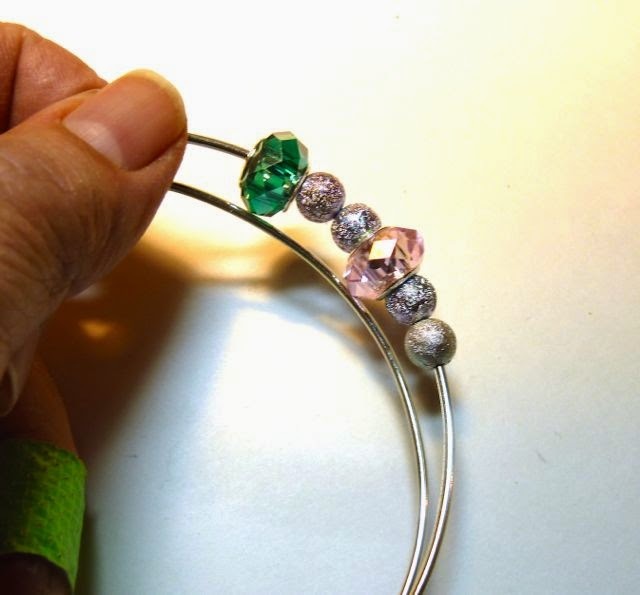 If not, bend it to a circle shape using a can or any tubular shaped item as a mold to create the round shape. 2. Using the needle nosed pliers curl one end of the wire. 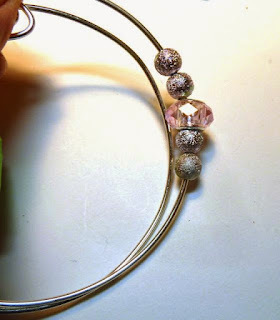 Start to add the beads on the uncurled end of wire. 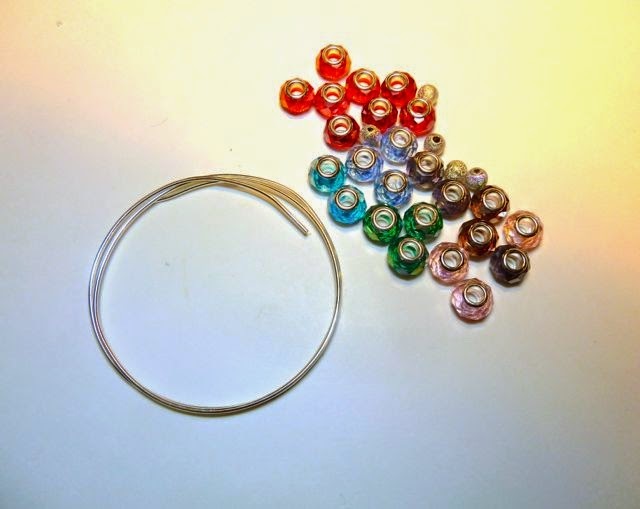 Thread two small spacer beads on the wire. 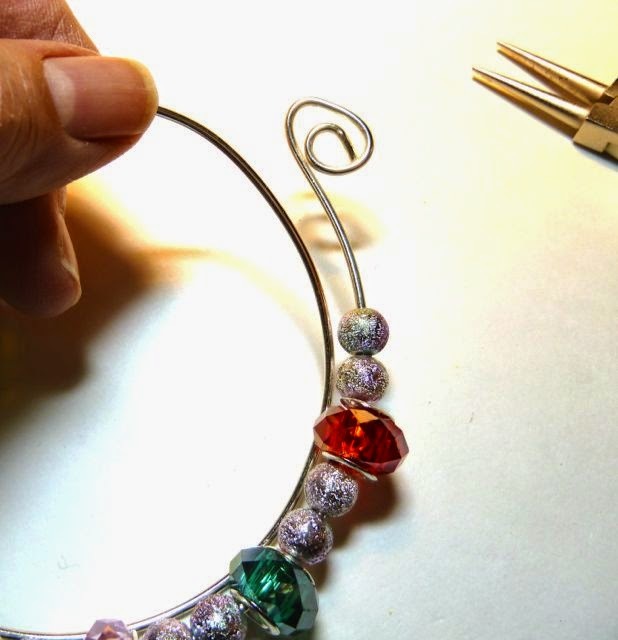 The curled end will keep the beads from falling off as you work. 3. 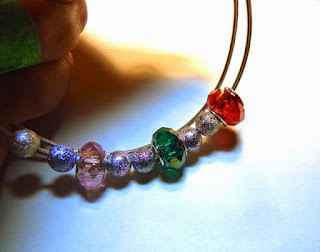 Next thread on your birthstone bead. 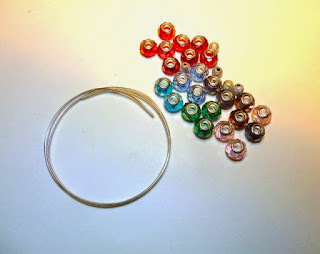 Follow with two spacer beads and continue with as many birthstone colors as you desire with two spacer beads in between each one. 4. Curl the second end of the wire in the opposite direction as the first one. 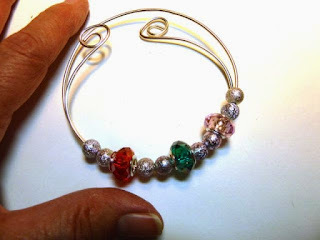 I like to use glass beads or Swarovski crystal beads but you can substitute any beads you like. So pretty Crystal! Great idea!! Big Hugs!